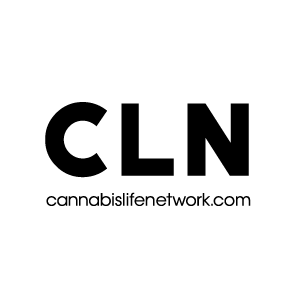 CFN Media Group, the leading creative agency and digital media network dedicated to legal cannabis, announces the publication of an article covering Medical Marijuana Inc.’s (OTC PINK: MJNA) global position in the burgeoning market for hemp-derived, cannabidiol (CBD)-based products. According to the Hemp Industry Association, annual retail sales of hemp products grew at a 10.4% clip to surpass $570 million in 2015. Industrial applications still account for most of the market, but hemp foods, personal care products, supplements, and hemp-derived CBD products have experienced a growing market share. Hemp Business Journal’s CBD Report projects that hemp-based CBD products will become a $450 million market by 2020. Google Scholar has archived more than 2,000 research papers discussing CBD’s role in the treatment of various medical conditions this year. With hemp-based CBDs widely available to researchers in the United States, a growing number of researchers have become interested in the cannabinoid’s potential across a spectrum of diseases. These published papers could eventually sway the medical community and open the door to new therapeutics. Medical Marijuana Inc. is building a global footprint in the CBD industry with its Real Scientific Hemp Oil (“RSHO”) – a hemp-derived pure CBD oil that’s available over the counter – until the scientific community catches up. With distribution across all of the United States and numerous countries around the world including Mexico, Columbia, and Brazil, the company has become a leader in providing pure CBD oils that have been shown to be effective in treating epilepsy, pain, and other conditions. In addition to its over-the-counter products, the company has a 45.5% stake in AXIM Biotech Inc., which owns the patent for chewing gum as a delivery method for cannabinoids. The company will soon start Phase III clinical trials for their combination CBD/THC gum MedChew™ RX for the treatment of spasticity associated with multiple sclerosis and, once approved by the EMA, the gum will be offered across the European Union. The company also holds a portfolio of other companies focused on distributing and marketing CBDs and advancing the science of cannabinoids. For example, its Kannaway subsidiary is focused on marketing cannabinoids throughout the United States with a variety of different products targeting areas like skincare, while its Kannalife subsidiary holds an exclusive license from the NIH for the commercialization of US Patent 6,630,507 for neuroprotection.